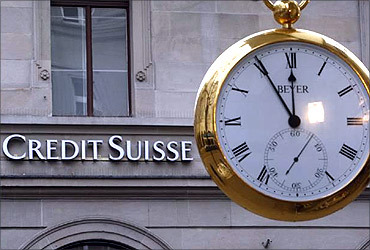 Rediff.com » Business » FAQ: What are Swiss bank accounts? Let's imagine a situation. You are watching a Bollywood pot-boiler, where the vile politician loots the people and instructs his lackey to deposit the money in his Swiss bank account so that no one can touch it. In another movie, James Bond enters a Swiss bank and is frisked before he gains access to his account. These are some of our notions of Swiss bank accounts, created by the media in our minds. However, do we truly know what Swiss bank accounts are and how they function? This article aims at shattering some myths surrounding Swiss bank accounts by answering some very basic questions. What are Swiss bank accounts? Swiss bank accounts, are just like any other bank account, albeit the heightened security through sophisticated security systems and absolute privacy offered by Swiss banks. 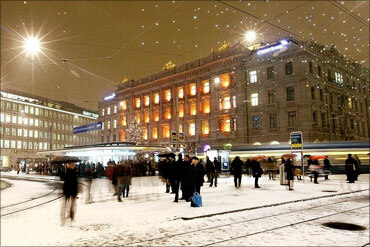 All Swiss banks are regulated by the Swiss Federal Banking Commission and serve clients from all over the world. What kinds of customers are allowed to open a Swiss bank account? Just like a normal bank, almost any individual can open a Swiss bank account. Swiss bank accounts aren't just for millionaires, criminals or government officials trying to hide ill-gotten wealth, or celebrities protecting their assets from former spouses. They're available to anyone and average people, too, have Swiss bank accounts. People who live in countries with unstable governments and banks in particular often turn to Swiss banks because of their security and privacy. How does a Swiss Bank account work? A non-Swiss national must be at least 18 years of age to open an account in a Swiss bank. The application can be made by mail or in person. Usually, there is no minimum balance required to open a Swiss bank account. However, once the account holder starts making transactions, it becomes mandatory to maintain a minimum balance. 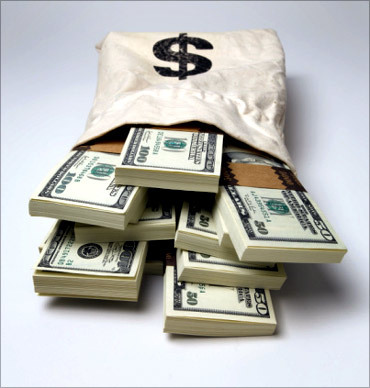 This amount can differ from bank to bank and varies for different types of accounts. 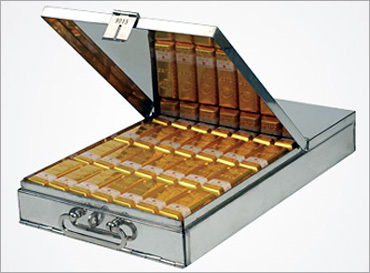 Account holders also have the facility to withdraw money in any currency. Switzerland's Anti-Money Laundering law requires a number of certified documents and a proof of income source. 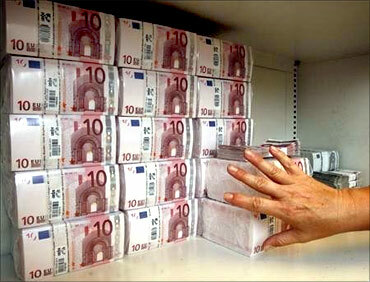 A Swiss bank account can be closed at any time without any restrictions or fee. Do Swiss banks only service the rich? Nothing can be farther from truth. A majority of a Swiss bank's clients are not major manufacturers, movie stars or heirs of businesses, but everyday people like you and me. You can open a Swiss bank account with a deposit of only 5,000 Swiss francs. Swiss banks even offer accounts with no minimum balance. Is there no interest on money invested? Absolutely wrong! Just like any other bank, Swiss banks also have a variety of investment options such as mutual funds, stocks, bonds, commodity and derivatives investment, etc. Swiss bankers are among the best finance managers in the world, so it comes as no surprise that they manage over 35 per cent of offshore holdings. 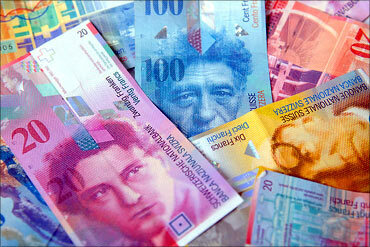 Moreover, owing to a very consistent financial stability in Switzerland, your money is much better handled here. Image: People stand in front of the headquarters of Swiss banks UBS. 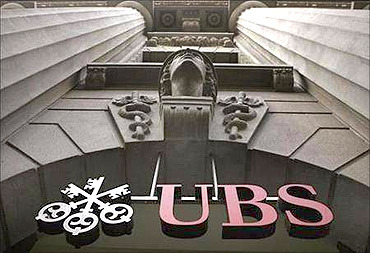 Are Swiss banks havens for criminals? Nothing can beat this rumour. However, for people who are unaware, Swiss bank accounts have very stringent policies on who invests money in the bank. The vast majority of Swiss bank account holders are honest people who want to keep their savings in a country renowned for its stability. Swiss banks are extremely cautious regarding politicians who wish to open an account and they systematically refuse to accept any money that is of dubious origin. Do numbered accounts guarantee anonymity? There is nothing like anonymity in Swiss banking terminologies. On the other hand, there are very strict rules over client-banker confidentiality which ensures that the number of fraudulent transactions that can happen with your account are negligible. However, the identity details of numbered accounts are accessible, albeit only to the bank manager and a few select people. Can Swiss bank accounts only be opened in person? Just like any other international bank, Swiss bank accounts can be opened through correspondence as long as you comply with their account opening procedures and provide the bank with the necessary documents. Moreover, all other banking facilities such as telephone banking, Internet banking, bank transfers and credit cards are available in the kitty of a Swiss bank's services. Are Swiss bank accounts very expensive to maintain? This is not true. Most of the Swiss bank accounts don't charge a cent in annual fees. Even if you would like additional services such as retained correspondence or numbered banking relations, the annual fees are very reasonable. Image: Swiss banks' kitty rises. But why would anyone want to open a Swiss bank account if it is like any other? Good returns (Swiss bankers are well skilled in investing and know how to grow your money). Privacy: Swiss bank accounts offer privacy akin to doctor/patient confidentiality or client/attorney confidentiality. Swiss law forbids bankers to disclose the existence of your account or any other information about it without your consent (except in certain circumstances). Breach of confidentiality could result in bankers facing up to six months in prison and a fine of up to Swiss franc 50,000. And, you have the option of suing the bank for damages. Needless to say, Swiss banks are very careful about protecting your privacy. The only exceptions to the Swiss banking privacy rule are criminal activities such as drug trafficking, insider trading or organised crime. Low risk: Switzerland has had an extremely stable economy and infrastructure for many years and hasn't been at war with another country since 1505. Higher returns: Swiss bankers are also highly trained in investing and know how to grow your money. Swiss bank accounts pay higher yields than other money market accounts. There is more to Swiss Bank accounts and this can be understood by studying the history of Swiss banking which is one of the oldest banking establishments going as far back as 1713. 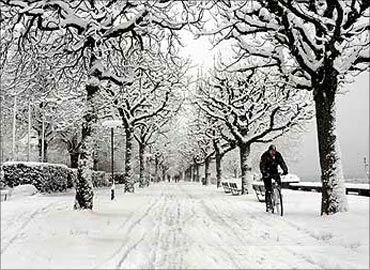 Image: Switzerland has an extremely stable economy.